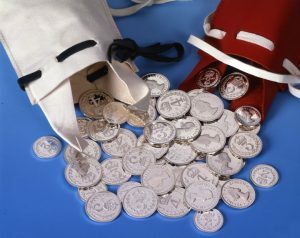 The Perth Mint of Australia started selling their June collections of gold and silver coins that range in sizes from 1/2oz to 5oz. 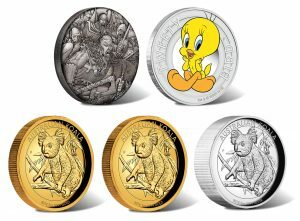 The Mint’s newest collectibles feature the Australian Koala, a popular Looney Tunes character, and Viking warriors. 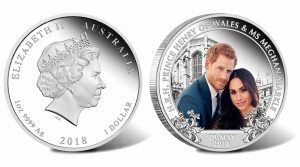 The Perth Mint of Australia is commemorating the May 19 wedding of Prince Henry and Meghan Markle with gold and silver coins memorializing the couple. 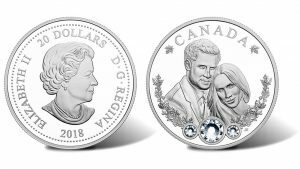 The Royal Canadian Mint is celebrating the upcoming wedding of Prince Henry of Wales and Meghan Markle with a 1 oz. 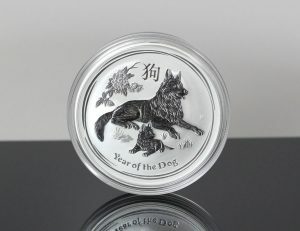 .9999 fine $20 silver coin depicting the couple. The wedding ceremony will take place May 19 at St. George’s Chapel in Windsor Castle. 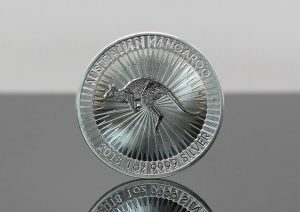 Demand for Australian bullion coins and bars was divided in March from February with gold sales stronger and silver sales weaker, according to Perth Mint figures. In contrast, gold sales ended lower and silver sales finished higher in first quarter 2018 against the same period last year. 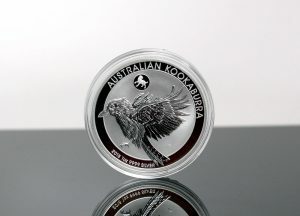 Demand for Australian bullion products slowed in February from the previous month but grew from a year earlier, according to the latest figures from The Perth Mint of Australia. 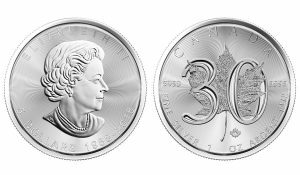 The Mint’s silver bullion sales, while lower, were solid. 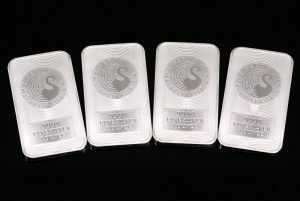 Demand for Australian bullion products picked up in January with silver sales the highest since July and gold sales the strongest since October, according to the latest figures from The Perth Mint of Australia. Their levels, however, were down from a year ago.